The Urban Politico: The Height of Scumbaggery! Because I'm sure that "political opportunity" was the first thing Obama, Bush and Clinton all collectively thought about when they decided to send free aid to people who are dying. Right. As if that wasn't enough, Limbaugh went on to actually say that folks should NOT repeat should NOT give money to the tragedy in Haiti...if it's done through the government. 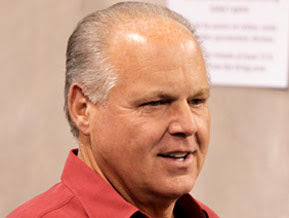 Non-government donations, according to Rush, are ok.